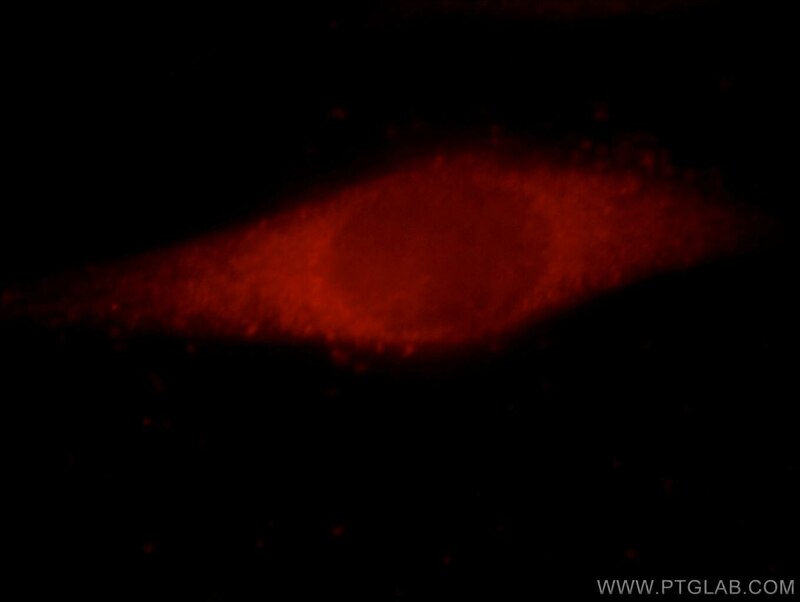 Immunofluorescent analysis of HepG2 cells, using CRYBB3 antibody 21009-1-AP at 1:25 dilution and Rhodamine-labeled goat anti-rabbit IgG (red). 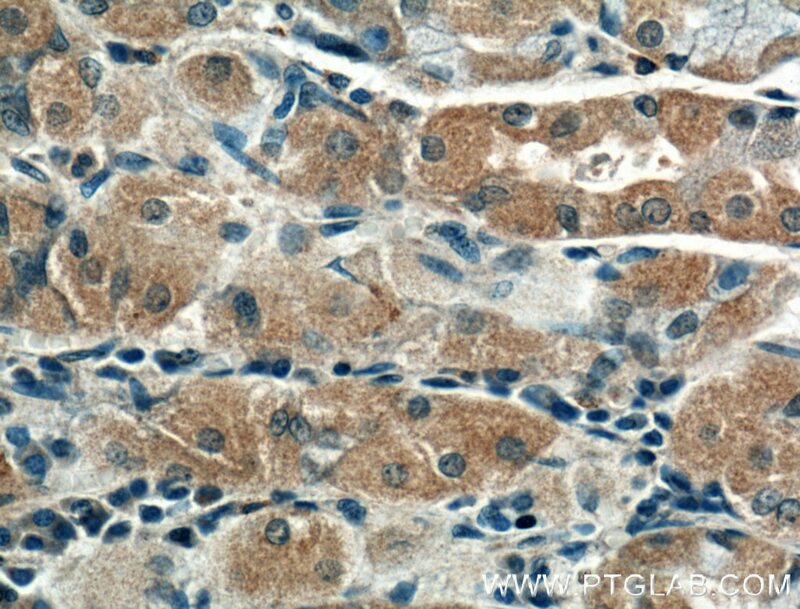 Immunohistochemical analysis of paraffin-embedded human stomach tissue slide using 21009-1-AP( CRYBB3 Antibody) at dilution of 1:200 (under 10x lens). 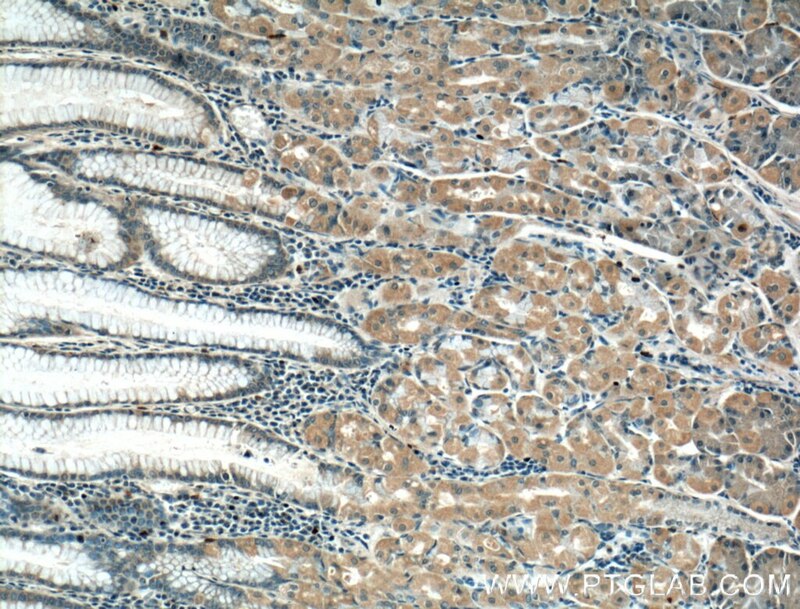 Immunohistochemical analysis of paraffin-embedded human stomach tissue slide using 21009-1-AP( CRYBB3 Antibody) at dilution of 1:200 (under 40x lens). Lens-specific conditional knockout of Msx2 in mice leads to ocular anterior segment dysgenesis via activation of a calcium signaling pathway. 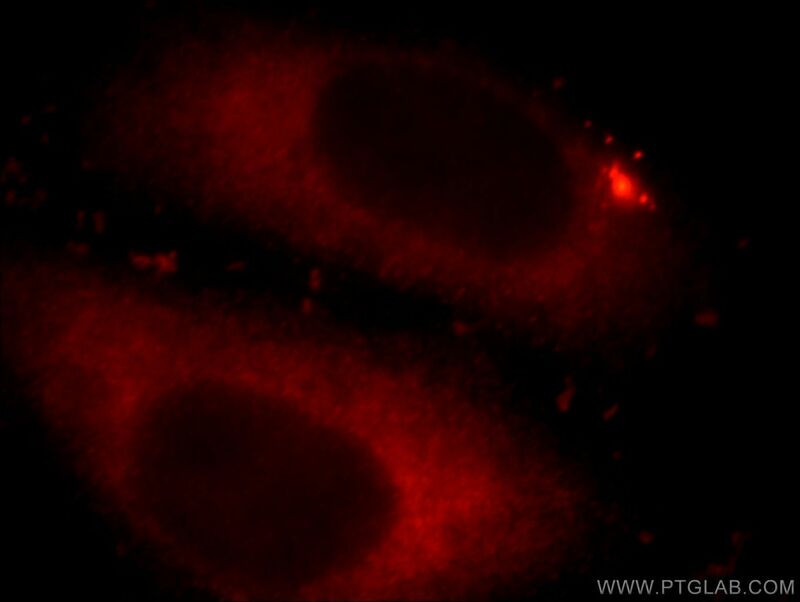 Immunofluorescent analysis of Hela cells, using CRYBB3 antibody 21009-1-AP at 1:25 dilution and Rhodamine-labeled goat anti-rabbit IgG (red).